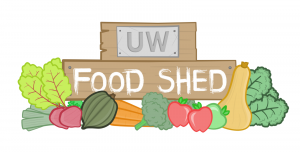 Four refrigerators holding this produce are located around campus, including the Plant Science building (second floor, near loading dock), Science Hall (in graduate student lounge), Student Activities Center at 333 East Campus Mall (3rd floor), and Allen Centennial Gardens. 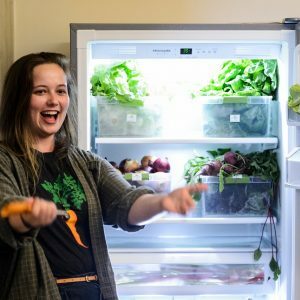 These refrigerators will hold produce from July through October when it becomes available. There may not be produce available at all times; it will depend on what we collect and what sorts of field projects are underway. The refrigerators will be available during normal building hours for these locations. Plant Science and Science Hall are typically open from about 7 am until about 5:30 pm. Allen Centennial Garden is open from dawn to dusk. The Student Activities Center has hours that vary with the time of year; please check https://www.asm.wisc.edu/sac/ for more details.